corners. | owl's house london. 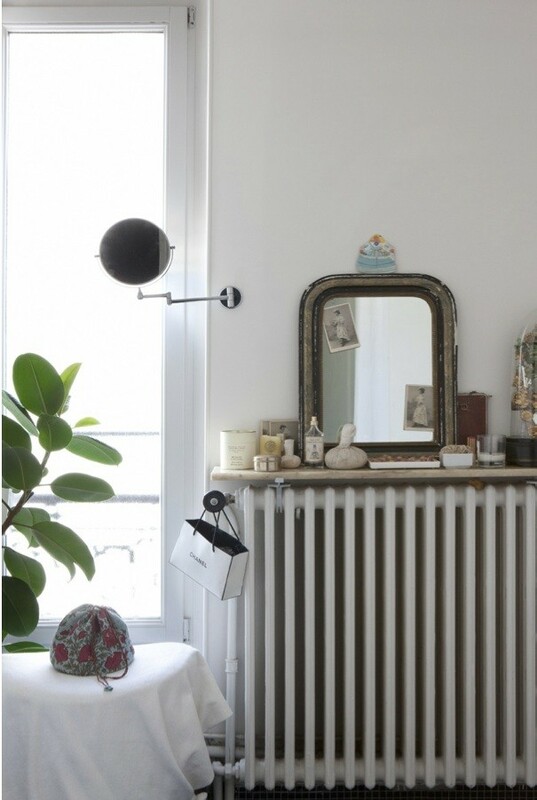 I love these images taken by Paul Raeside, capturing glimpses of beautifully styled corners in this pared-back Parisian interior. 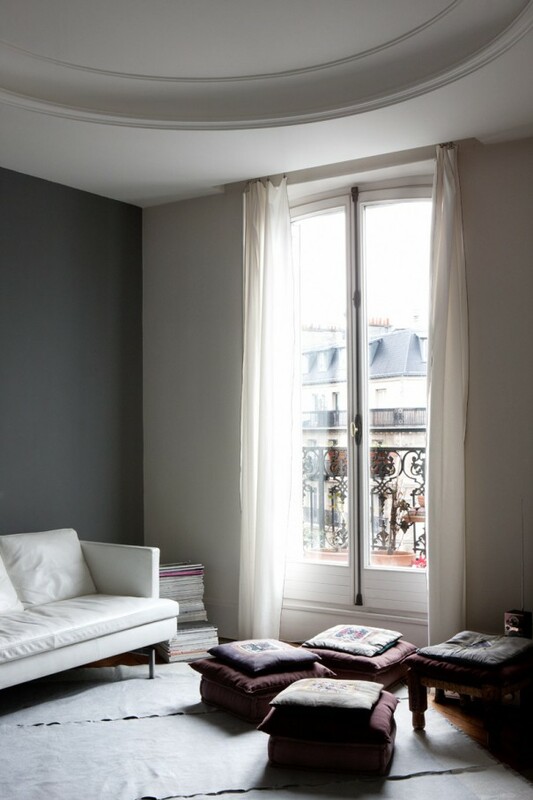 Off-white and shades of grey provide the back-drop to the wonderfully light interior; window treatments are simple lengths of sheer (very on-trend for 2014, says the Wall Street Journal). 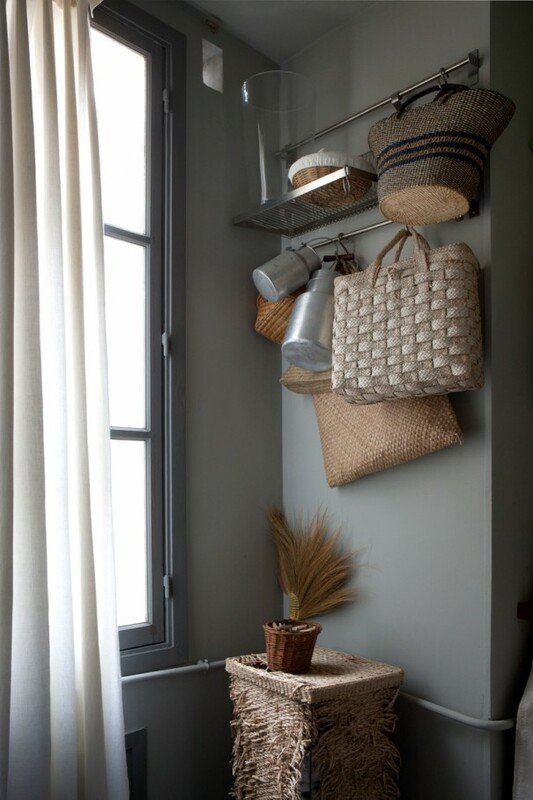 It is the objects and their placement that provide the detail and texture. This entry was posted in wonderful spaces. and tagged design, Haussman, interior, Paul Raeside, photography, the Wall Street Journal on January 8, 2014 by owls house london..
i’m thinking of an off-shoot called owl’s house paris… so many wonderful spaces, sigh. sheer curtains and kitchens that are anything but white – i do hope you’re keeping up, pt! Jane, Happy New Year :)) Loved these images, those spaces were inspiring!